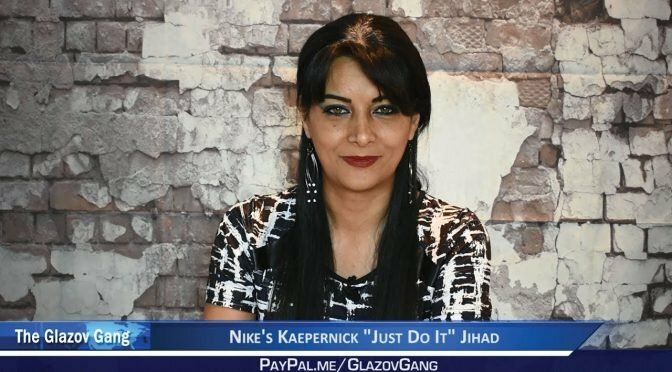 On this new Anni Cyrus Moment, Anni focuses on Nike’s Kaepernick “Just Do It” Jihad, shedding disturbing light on the troubling and eerie question of what exactly is supposed to be sacrificed. Anni Cyrus-what an amazing Iranian American woman. What a truth warrior… How can I follow her & get notifications? Also, I just bought new book”Jihadust Psychopath.” Cannot wait to read it. TY Jamie G.& glazov gang-u guys are awesome-glad I discovered you all. God continue to bless and protect you all & your households.